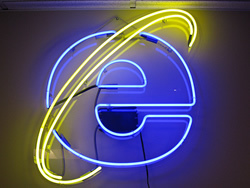 The quickest way to solve new crashing problems with Internet Explorer is to reset it to defaults. Exit out of all programs, especially Internet Explorer windows because this is the program you’ll be resetting. The Internet Options dialog box will appear. Startup Internet Explorer again and try going to the crashing website again.